. . .e ray to the left, "what did she have in the basket?" The ray rested upon the lithe creature that I had shot down. It was a black cat! 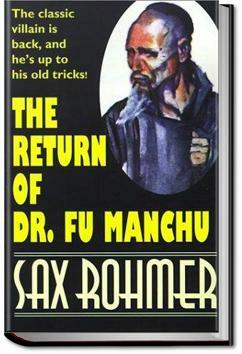 When the indefatigable Burmese police commissioner Nayland Smith and his trusty friend and sidekick Dr. Petrie both receive a mysterious midnight summons, the deadly import of the ruse soon dawns on them - the fiendish Dr. Fu-Manchu is back on the loose in London! I'm supposed to think he is.